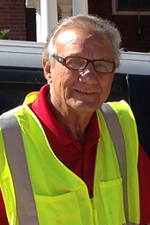 Norm Casini currently serves as the Building Commissioner for the Village of Cuyahoga Heights and has held the job since 2000. 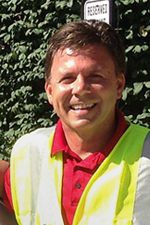 He is a registered engineer and architect and is certified as a CBO and plan examiner. Building Department hours are Monday through Friday from 8:00 AM to 12:00 PM and 1:00 PM to 4:30 PM. One of the keys to keeping Cuyahoga Heights a great place to live and work is ensuring that each of our homes and yards are properly maintained. A clean, well-maintained community does much more than just makes our Village a pleasant place to live. Neighborhoods where homeowners perform routine, basic maintenance on their structures and yards consistently enjoy substantially higher property values. In most cases, the Village has enforceable codes that mandate certain maintenance related responsibilities. Adherence to these codes, along with some good common sense, will make certain that our Village remain a desirable place to live and work. As a neighbor and resident, I hope you will join the rest of our community in taking an active role in helping keep the Village of Cuyahoga Heights a great place to live! Here are just a few things to keep in mind. Every structure or accessory structure, including fences, shall be maintained in good repair and be free of conditions reflective of deterioration or inadequate maintenance. For example: siding materials must be maintained and in good repair without holes, loose or rotting materials, or peeling paint. Roof shingles must be in good repair, not worn or missing. These items shall not be allowed to accumulate on any property. Motor vehicles parked outdoors must be in operable condition and have a current license and registration. Qualified homeowners also have the option of obtaining a low-interest, fixed-rate Heritage Home Program loan, with rates as low as 1.4% for up to 10 years! There are no maximum income restrictions. The owner just needs to have good credit and sufficient equity in the home to support the loan. There are no points involved with the Heritage Home Program loan and the interest is tax deductible! Here is the link to the program: www.heritagehomeprogram.org. Certificate of Insurance indicating evidence of insurance for bodily injury in the amount of $1,000,000 for each occurrence, subject to an aggregate limit of $1,000,000 and for property damage in the amount of $100,000 for each occurrence, subject to an aggregate limit of $100,000. The Village of Cuyahoga Heights must be named certificate holder. Proof of Workers’ Compensation insurance. A check in the amount of $100 payable to the Village of Cuyahoga Heights. A self-addressed, stamped envelope for return of the registration. Contractors who register as Electrical, HVAC, Hydronics, Plumbing,Refrigeration, and Sprinkler contractors must submit a copy of their current State License. The contractor must be registered with the local tax agency, R.I.T.A. The Village of Cuyahoga Heights is a Certified Residential and Commercial Building Department. A one-percent (1%) State Assessment Fee will be applied to residential permits, and a three-percent (3%) State Assessment Fee to commercial permits. Contractors performing work on residential property must conform to the new Residential Code of Ohio.